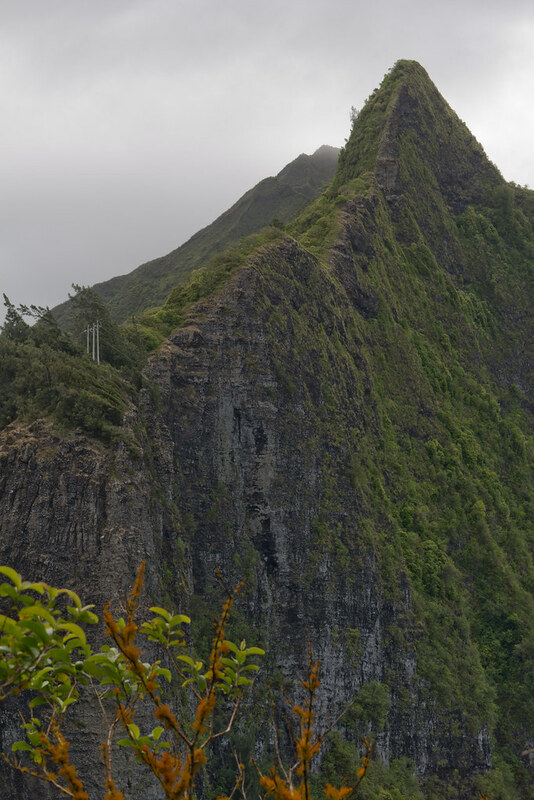 So far I've hiked 4 times already this month. 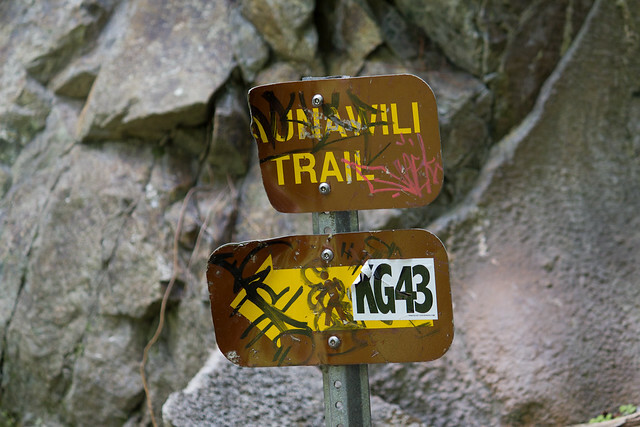 Today made 5 hikes in 4 weeks! 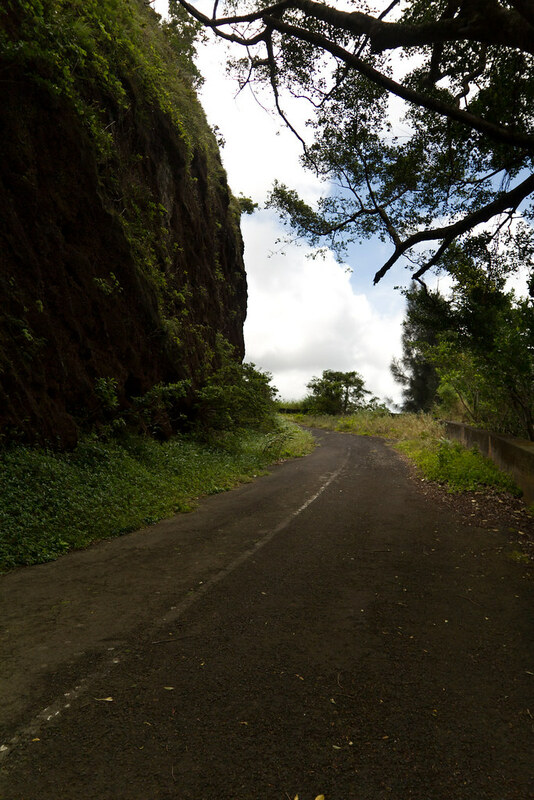 I had to hit the trails by myself so I headed up Nu`uanu Valley to the Pali Lookout. 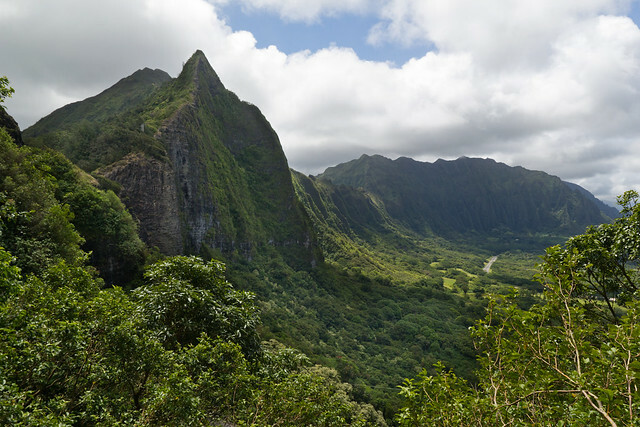 From the Pali Lookout I headed down the old Pali Road to Likeke Falls. 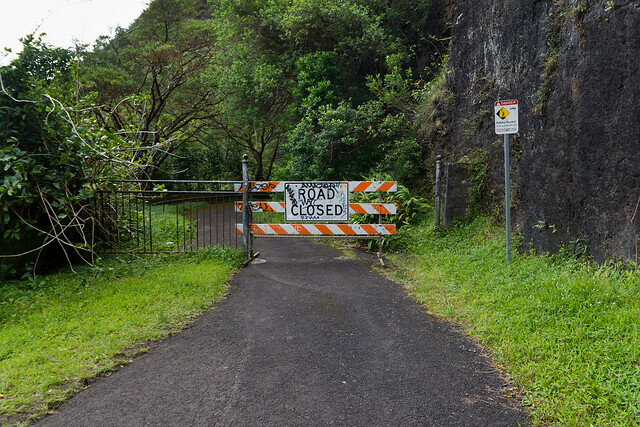 From the lookout the "trail" follows the old Pali Road down past the road closed sign. 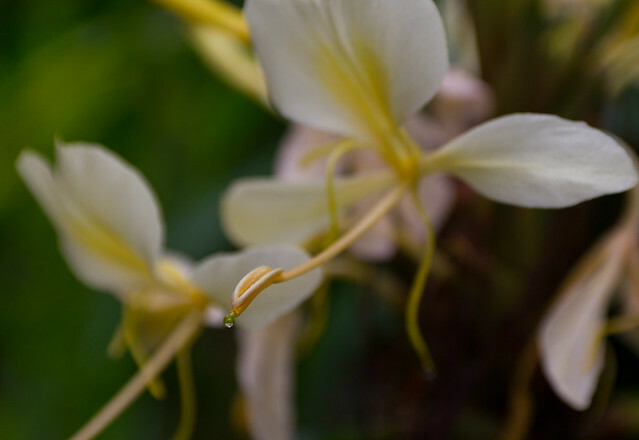 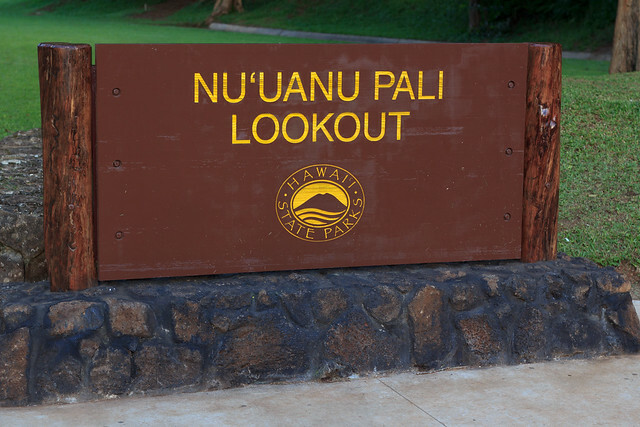 The Pali Lookout is also the start to the Maunawili Demonstration Trail. 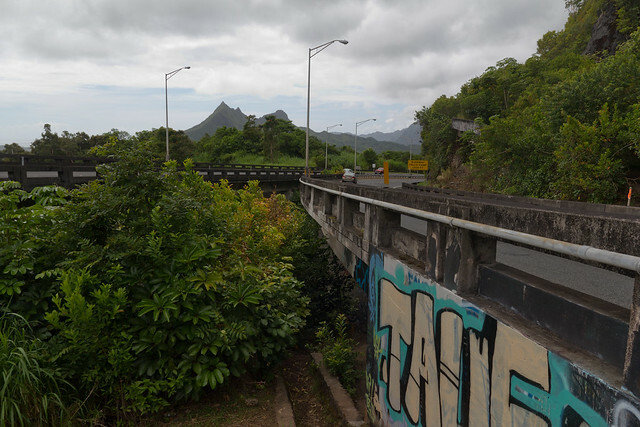 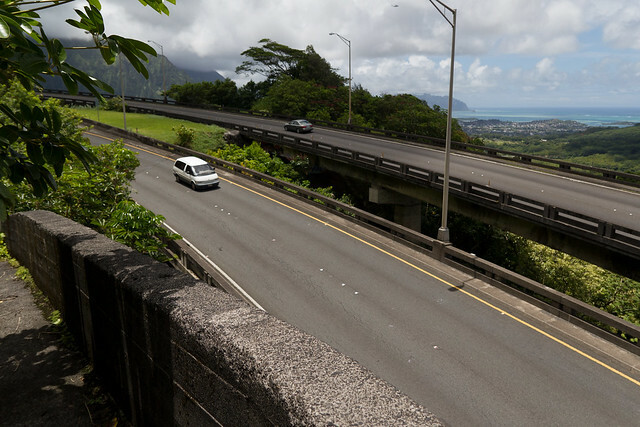 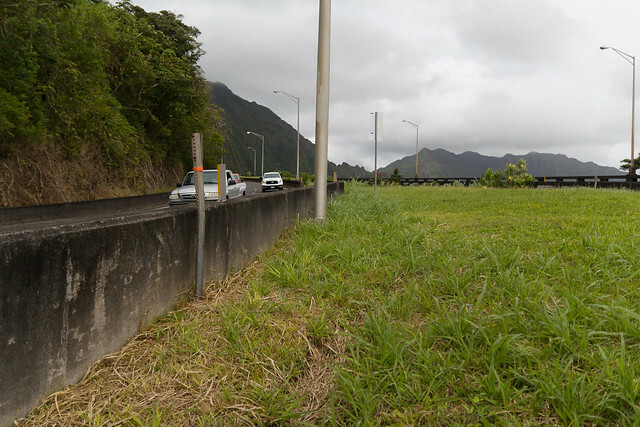 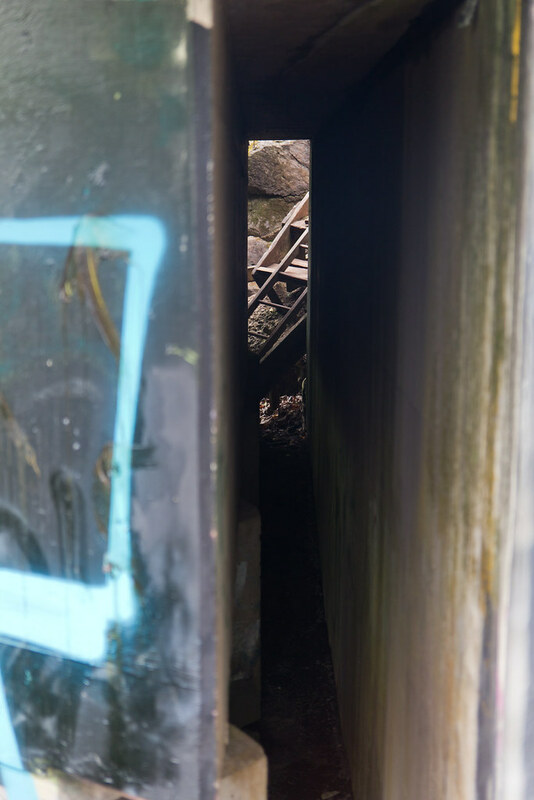 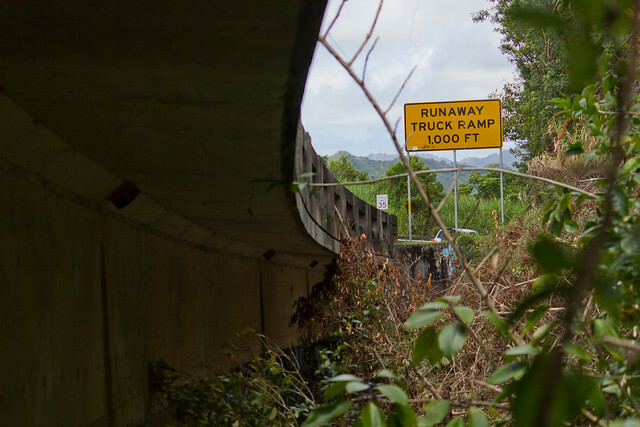 The road meets up with the Pali highway and you have to crawl down underneath the highway and squeeze through a small passage way under the overpass. 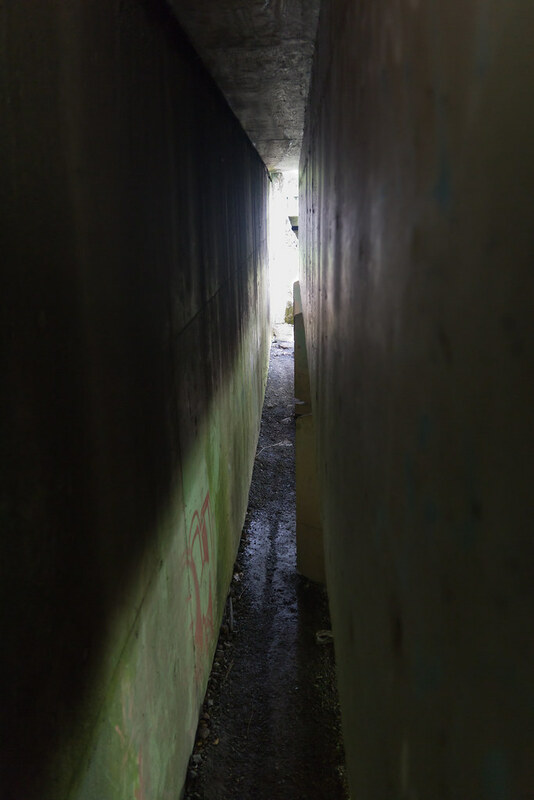 I barely fit in the skinny passageway under the road. 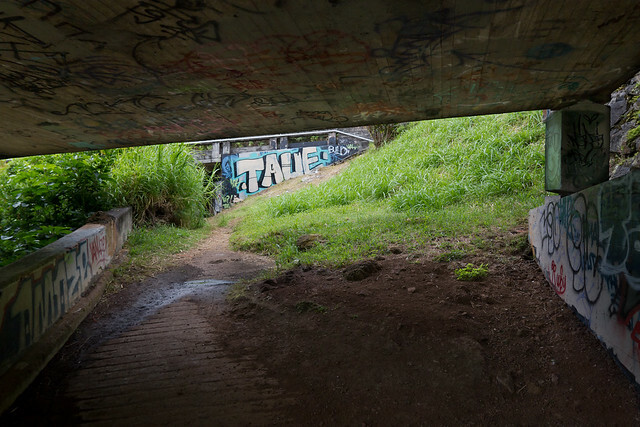 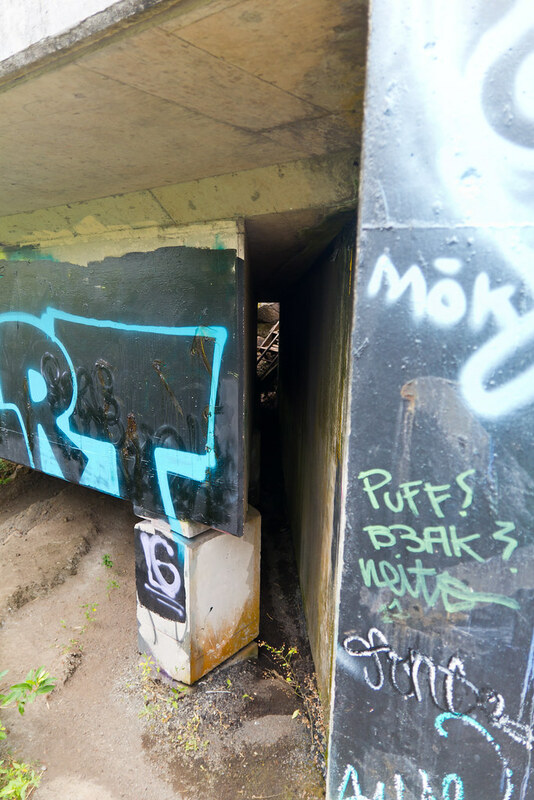 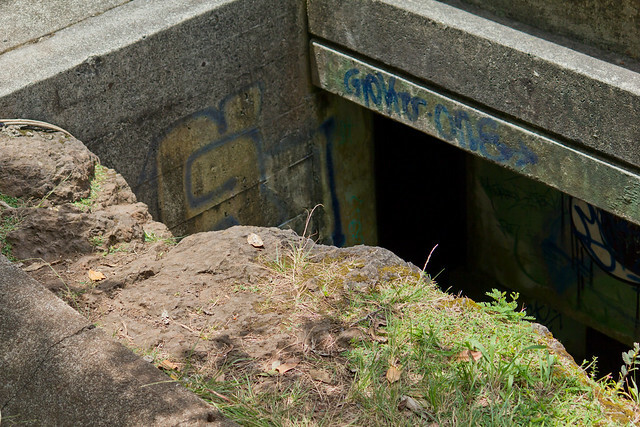 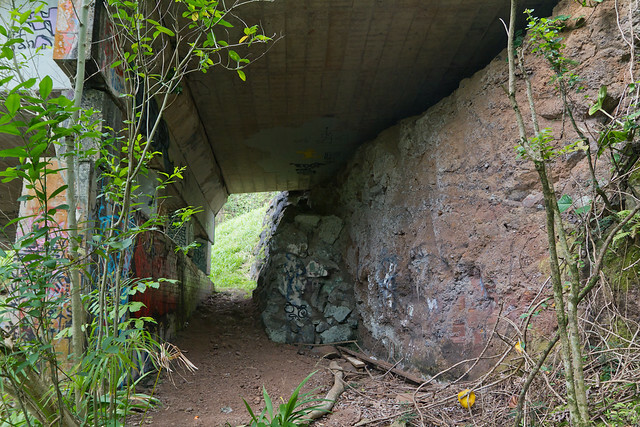 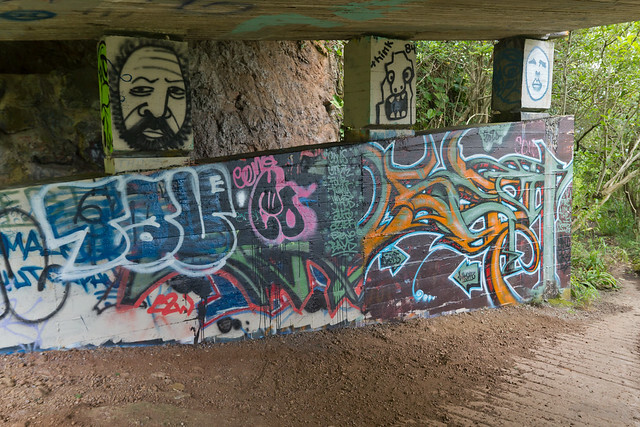 The trail passes under the other side of the Pali highway and some interesting graffiti. 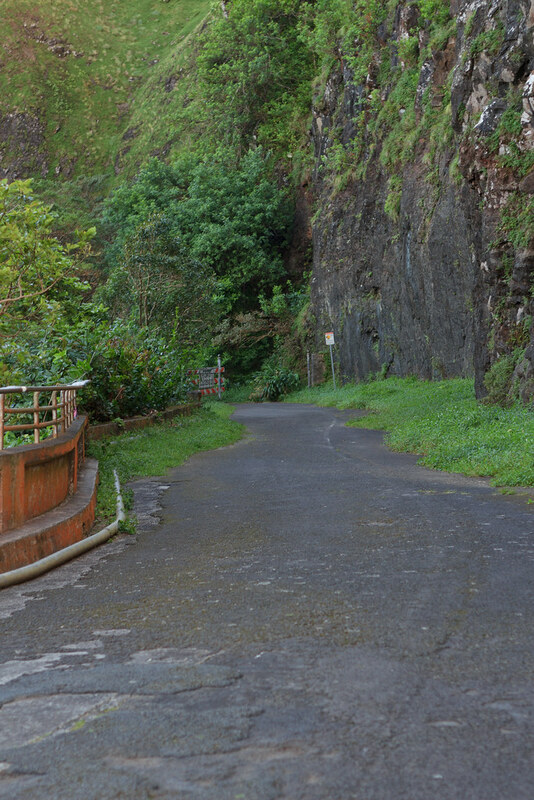 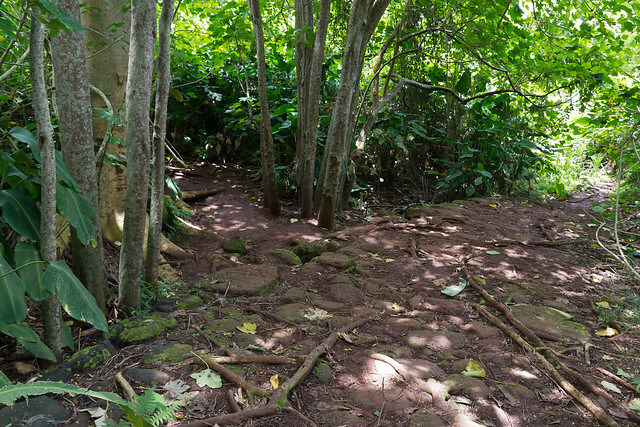 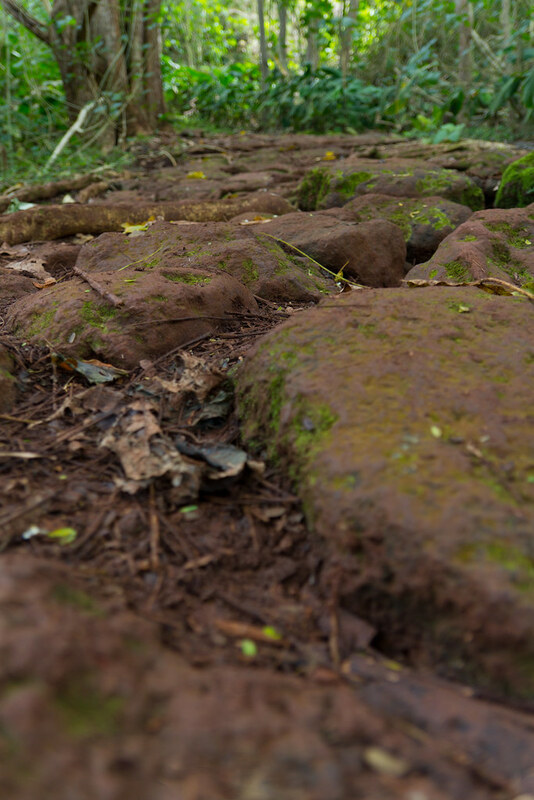 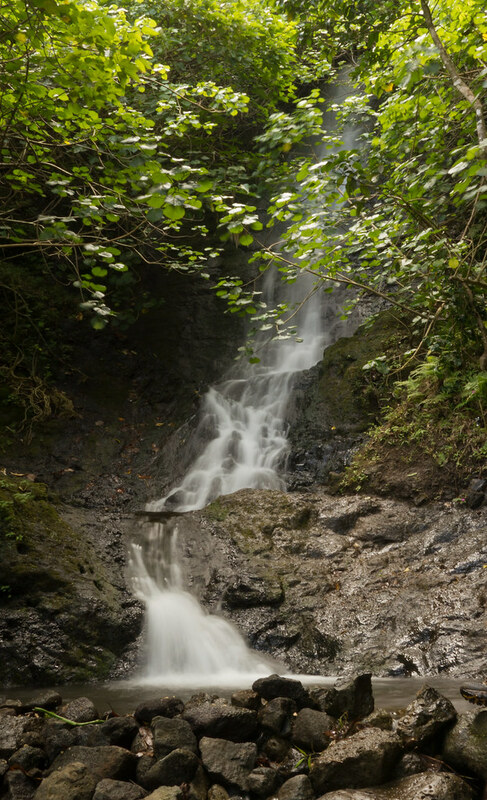 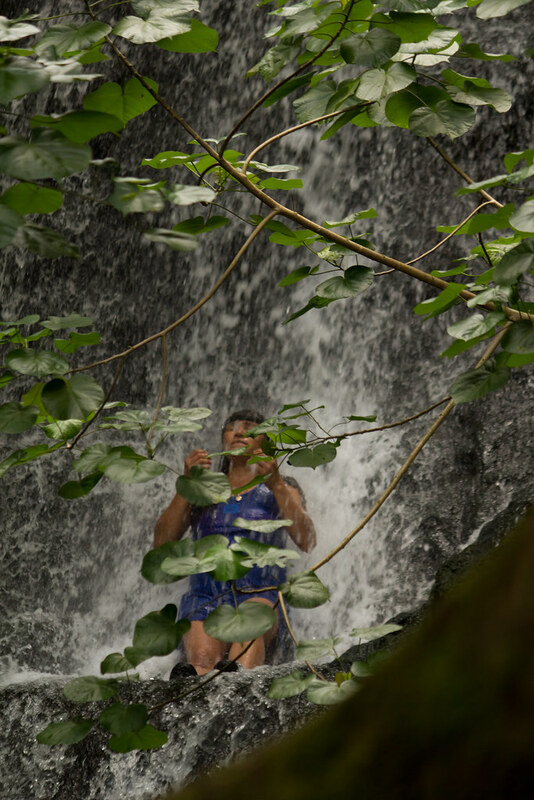 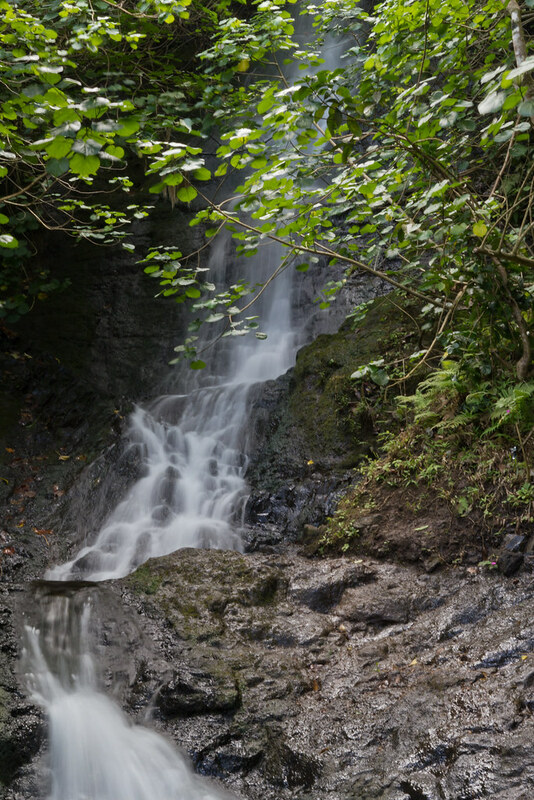 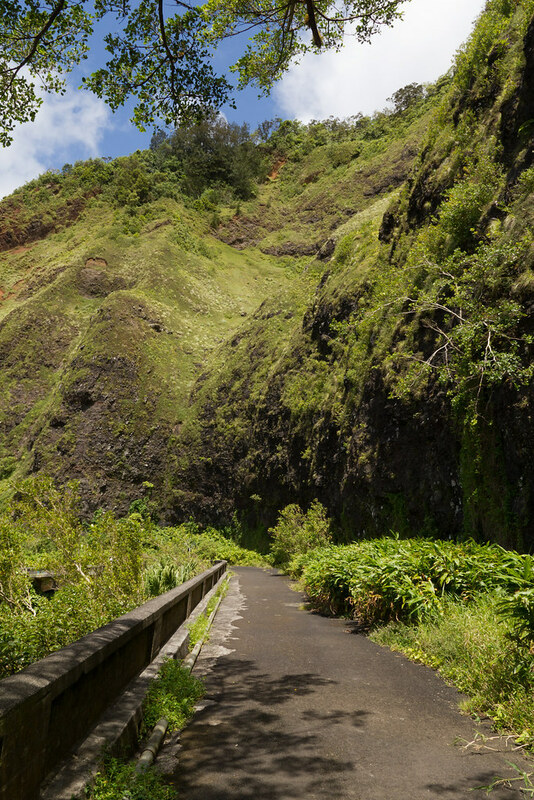 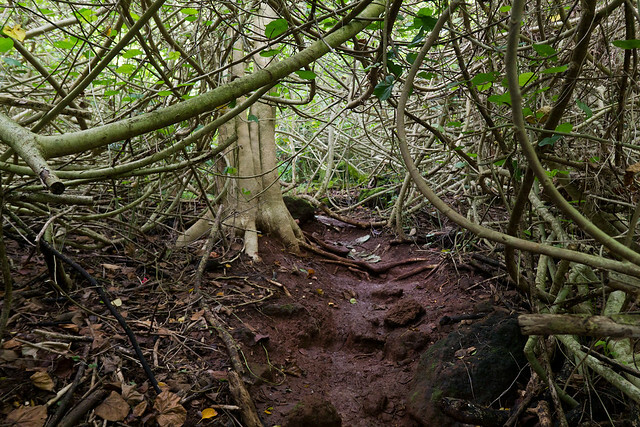 The trail veers off the road and contours the Nu`uanu towards the falls. 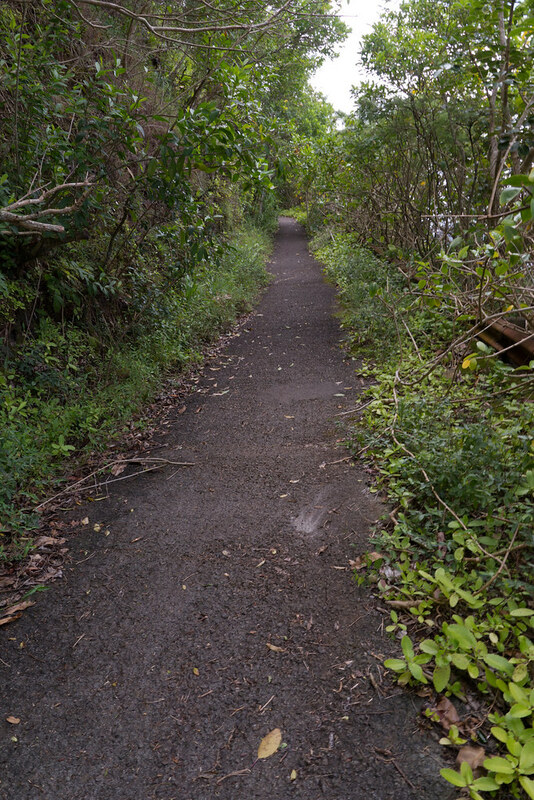 The trail eventually traverses an old horse carriageway. 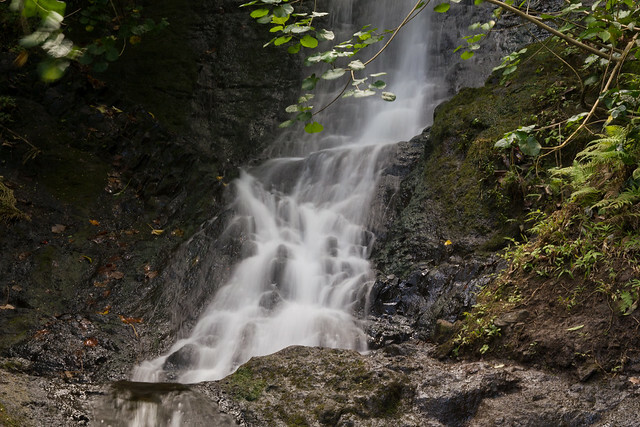 Within a few minutes you're at the falls. 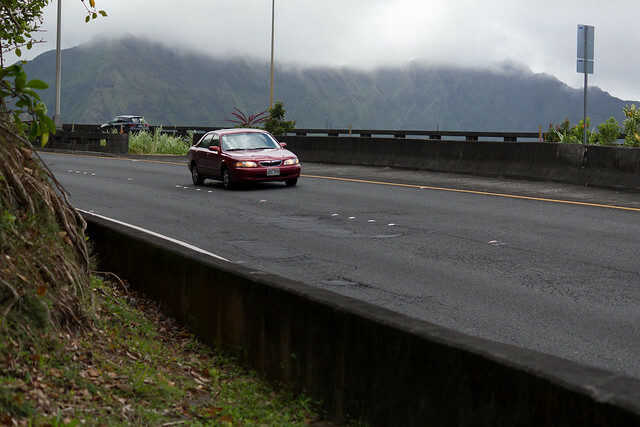 There was a lot of traffic at the falls. 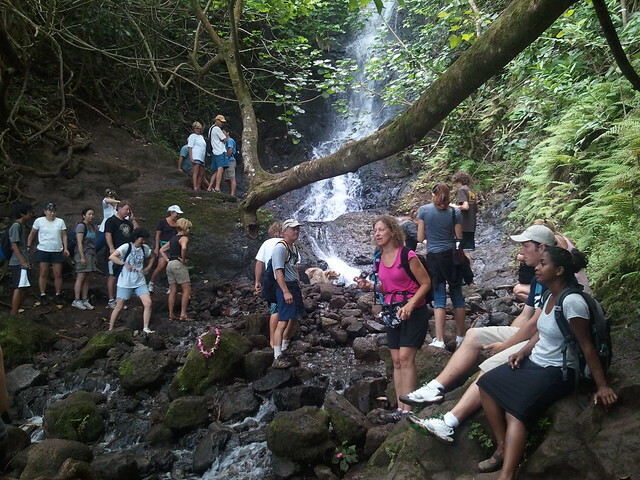 I counted three tour groups on the trail and at the falls. 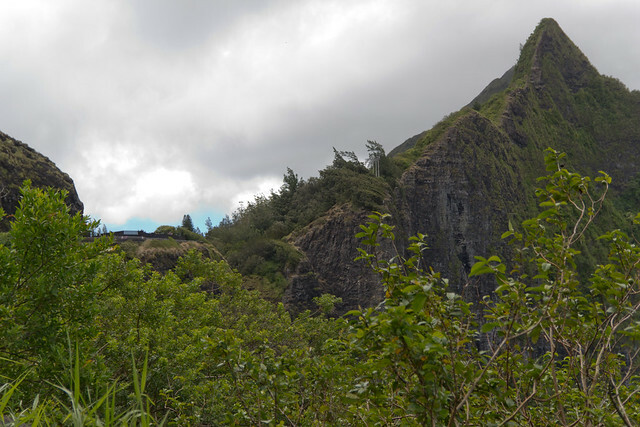 For a short trail (under 4 miles) starting at the lookout makes for some great views fairly quickly. 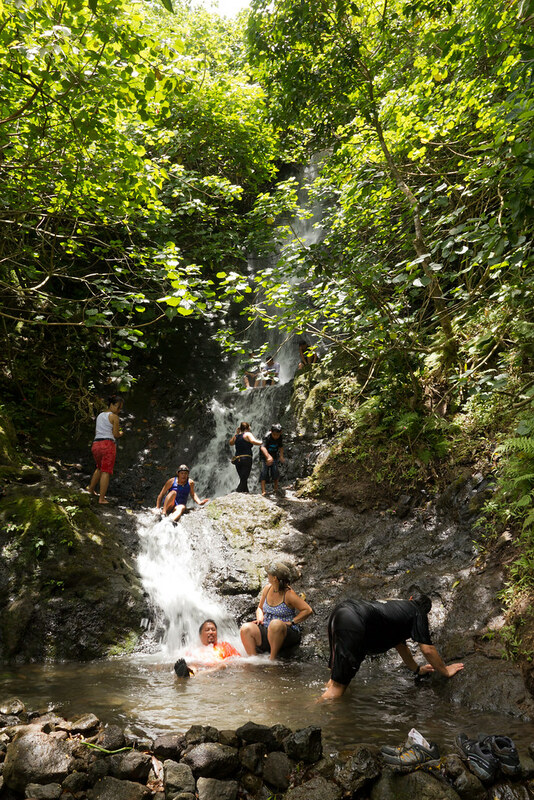 Had a big family harvesting all the mountain apples (and avocados). 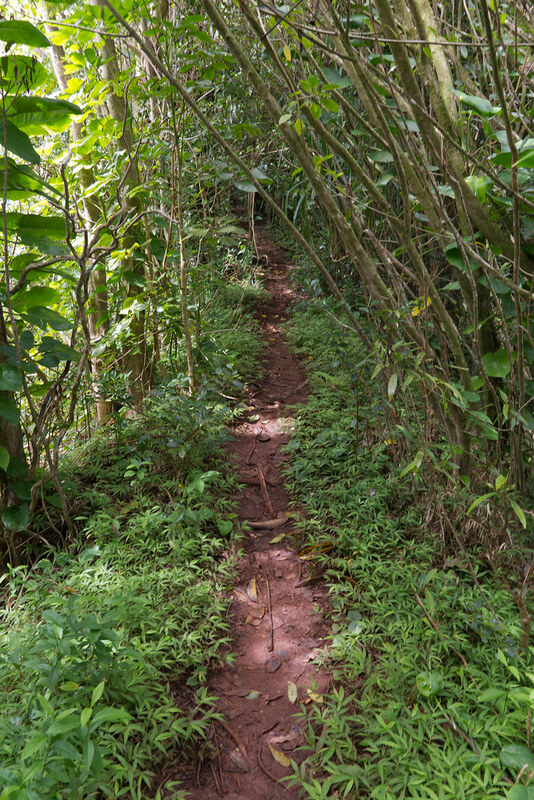 I didn't see any mountain apples, but there were plenty of avocados. 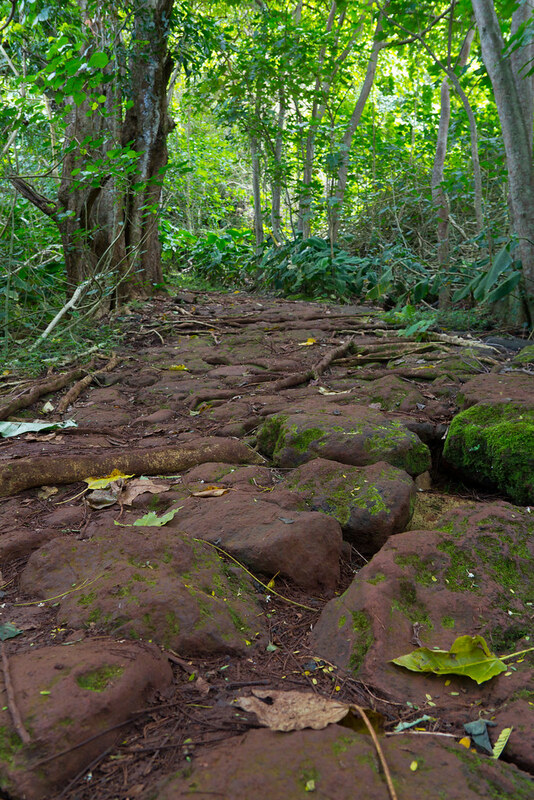 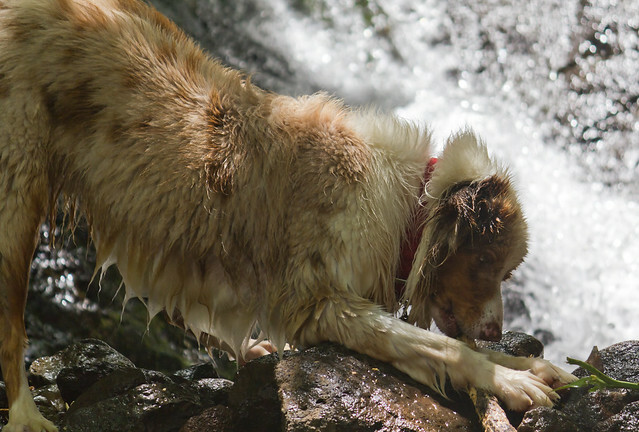 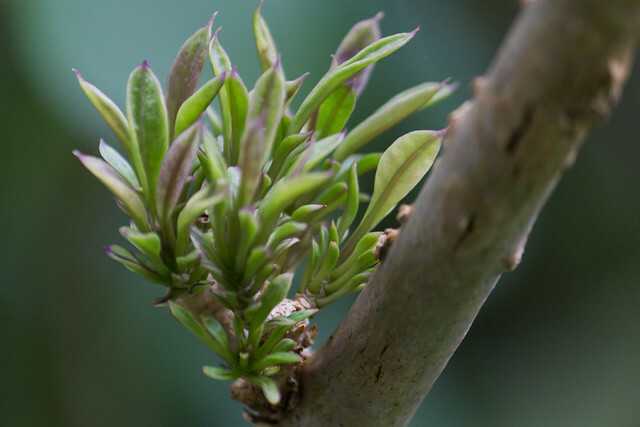 Waiakeakua stream in Manoa had plenty of mountain apples.